Once dubbed “the coolest girl in the world”, actress and now turned director, Chloë Sevigny has made her debut with a short film titled ‘Kitty’. Kitty follows the tale of a young girl, who seemingly believes she’s turning into a cat, and then actually does. The girl, nicknamed Kitty, clearly longs and fantasises about transforming into a cat. Her transformation progresses through the first half of the short, with her developing whiskers, cat like ears and claws before going full-on feline. Throughout Kitty’s transformation, she’s seen multiple times attempting to draw attention to her changing body but is ignored and brushed off by her mother. The performance of the cats used in the film is almost poetic. The like-ness between the young girl and the cat is slightly surreal. 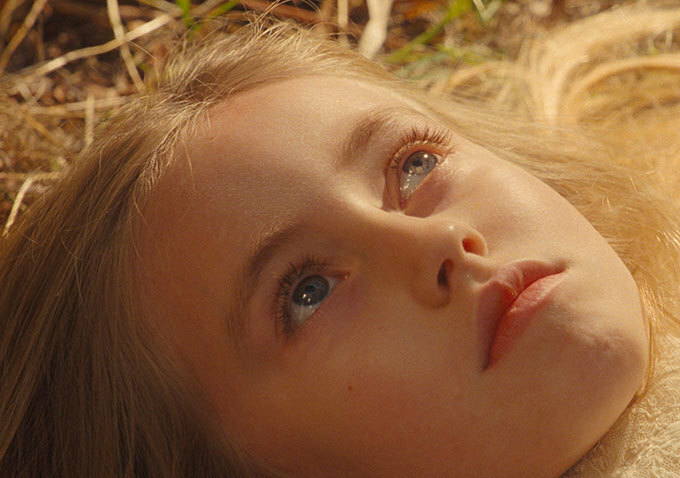 When it comes to the movements and personalities of the character Kitty, Sevigny captures it perfectly, forcing the audience to accept Kitty’s change or reject it, much like her mother. Sevigny’s directing style is clearly formed to the bizarre and somewhat fairy-tale plot, with everything from the quick changes in music, to the stylised, pastel colours and use of slow shot’s all adding to the ambiance and magical tone of the short. Visually, the practical effects used in the film truly give it an edge, as they emphasize Kitty’s change, making it believable. The cinematography is beautiful and delicate when required, but can feel ever so slightly unnerving throughout. This emphasises the plot line’s demands from the audience to believe and accept Kitty as she changes. It also reinforces the disconnected and neglectful relationship between Kitty and her mother, with the final shot reconnecting the two. The film itself is a quaint 15 minutes long – however, leaves a strange and somewhat sad, lasting impression. And quite simply, Kitty is a soft, warm but uneasy commentary on a young girl’s coming of age and relationship with her mother.